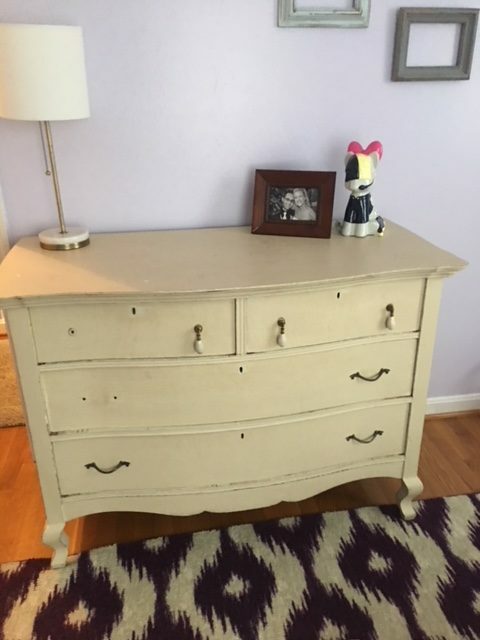 I wasn’t able to share a Favorite Find with you this week because I’ve been flat out busy completing custom jobs and didn’t have a chance to go thrifting. 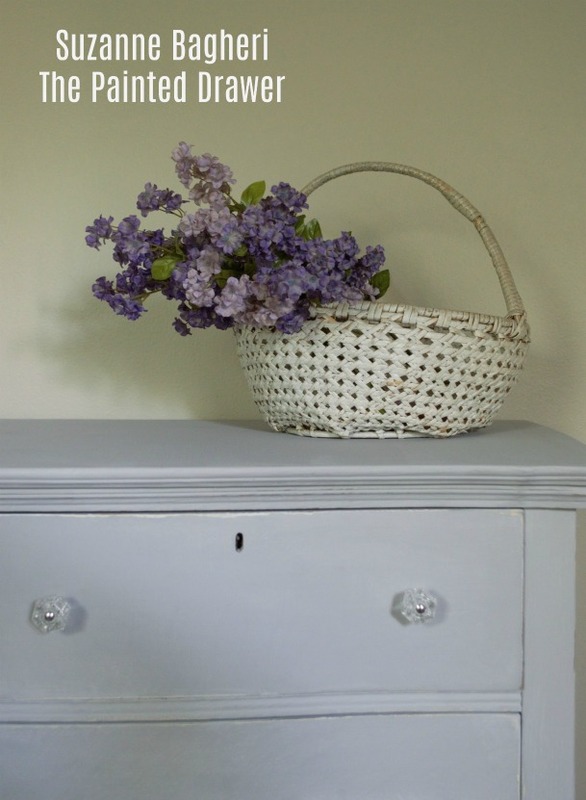 I will share this Cottage Gray dresser makeover that I just completed. It was my favorite find Monday a few weeks ago. It obviously had a ton of charm that just needed to be brought back to life. I first sanded it using my orbital sander. I like to sand over an existing paint job because they typically need smoothing out and it gives the new paint a little more grip on the base. After the prep work of cleaning, sanding and taking off the old pulls, it was ready to go. 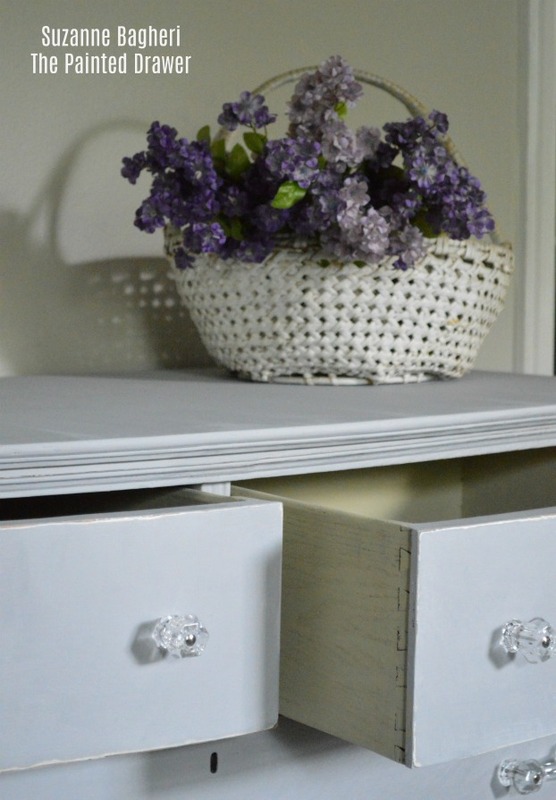 It took three coats of Annie Sloan Paris Gray to give it full coverage. 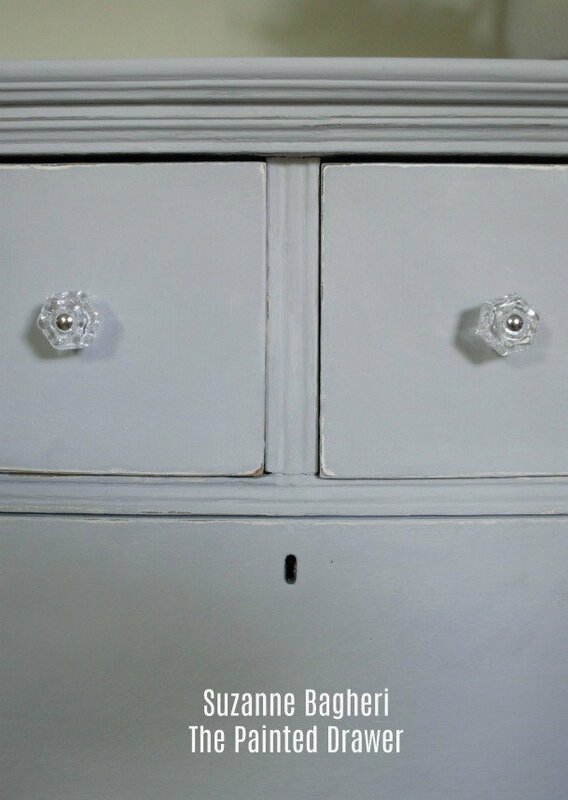 It was waxed in Annie Sloan clear and I then used a sanding sponge to create a super smooth finish. It was also distressed to show off a few of its curved lines. 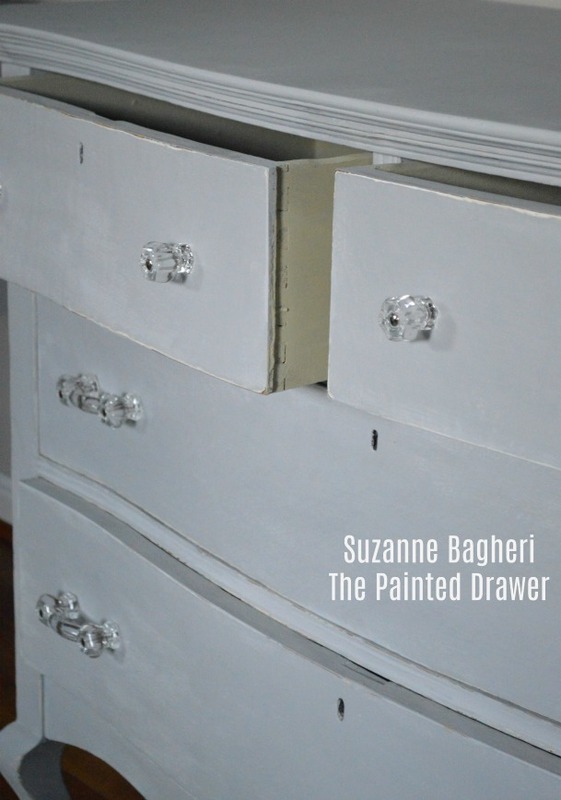 I typically don’t paint the interior of drawers but in this case, it was needed. 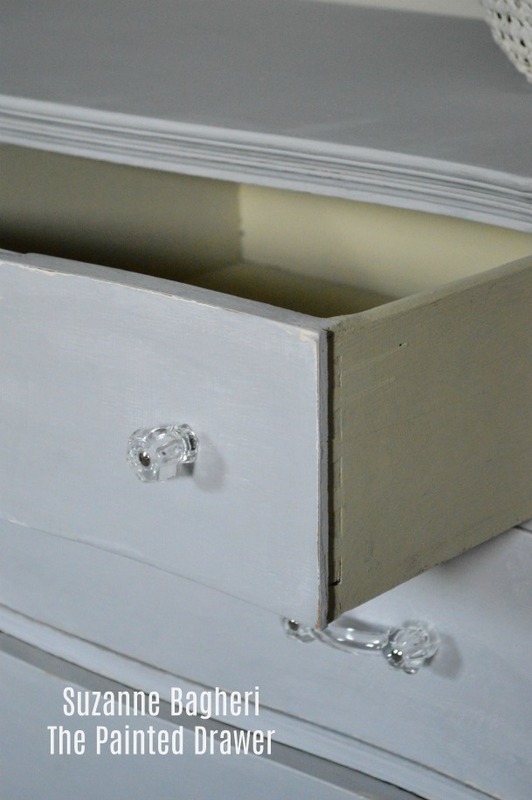 Annie Sloan Versailles coordinated well with the gray and gave the drawers a much needed refresh. 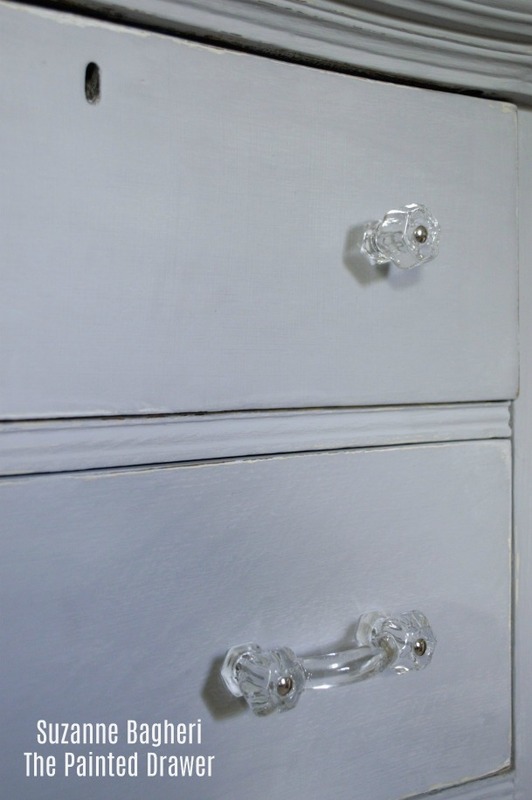 Another gorgeous addition were the glass pulls and knobs from D. Lawless Hardware. They sparkle! 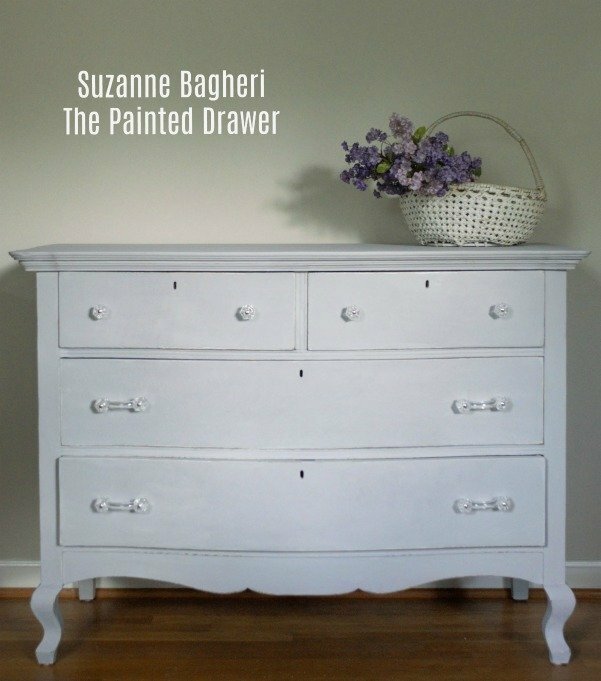 The complete white painted drawers are giving nice simple and somber look and the glass nobs are just adding a glimpse of shine to it. Great Job! Thank you very much, Rajan. 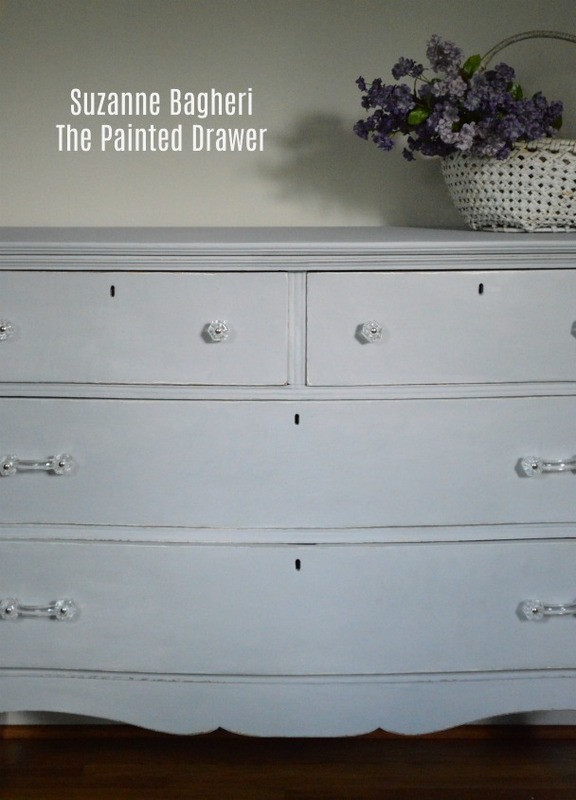 Actually, the paint is a really pale gray and very soft and pretty. Light and bright! Have a great day!